When you decide to let your property the best thing you can do, to gain peace of mind, is employ a good agent to handle the letting for you. At Turney and Associates Lettings LLP, we pride ourselves on our reputation. We ensure an efficient and honest approach to our landlords and tenants alike. We believe that if we treat you and your property with respect and ensure you have smooth running and trouble free tenancies you will return to us again and again. We believe a good reputation is built on high professional standards and knowledge of the marketplace. If you want your property to be well managed and gain its maximum return, then look no further. 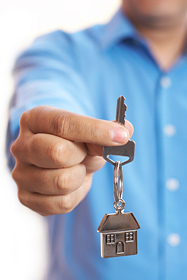 We are aware that some landlords don’t always want to use all of the services offered. If you would like to build a package to your own specific requirements, we will be happy to discuss this and obviously it would be reflected in your fee. Please give us a call for a free, no obligation appraisal of your property. Alternatively, you can send your details using our on line registration form. Whichever way you contact us, you’ll be glad you did!